On Monday, The SEC announced game-times and television networks for games across the conference on November 19. Georgia’s “Black Out” game against UL Lafayette will take place at noon and will be televised on the SEC Network Alternate channel. This game will be Georgia’s third noon kickoff and the sixth televised on an SEC Network affiliate this season. Georgia is 1-2 in noon kickoffs this season. In previous games broadcasted on the network, Georgia is 4-1 this season, with the loss coming to Vanderbilt. This edition of the game between SEC and Sun Belt foes serves as the second in the series, the teams last met in 2010. Georgia won that matchup 55-7 against the Ragin’ Cajuns. 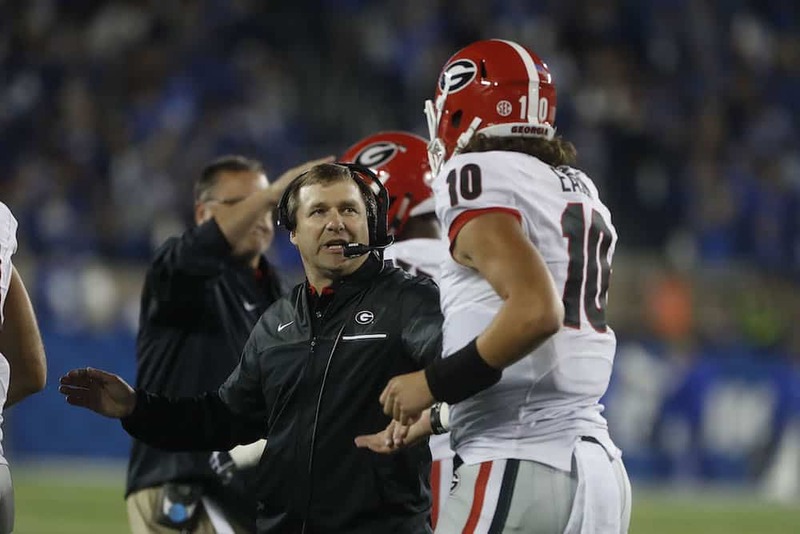 Georgia concludes their season with three games at Sanford Stadium, and this will serve as the tune-up to the season finale against Georgia Tech. UL Lafayette at Georgia – Noon, SECN Alt. Western Carolina at South Carolina – 4pm, SECN Alt. Alabama A&M at Auburn – 7:30pm, SECN Alt.